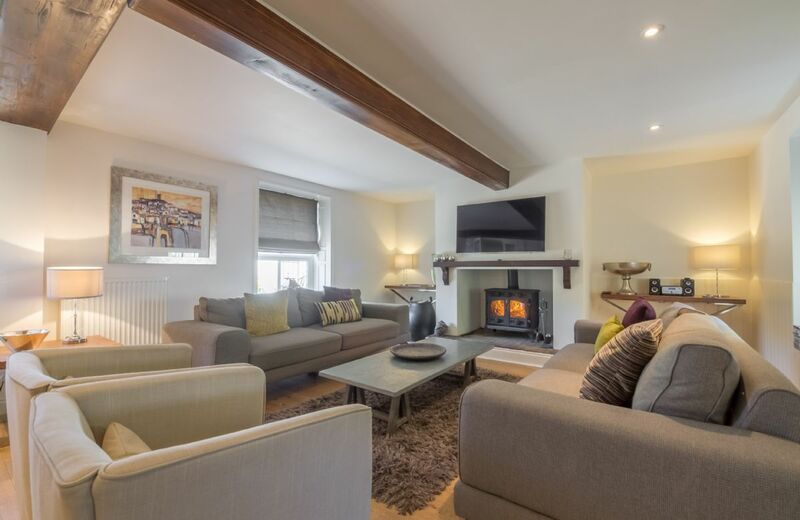 This boutique style self-catering retreat provides the perfect base for a family or group of friends looking to get away from it all. 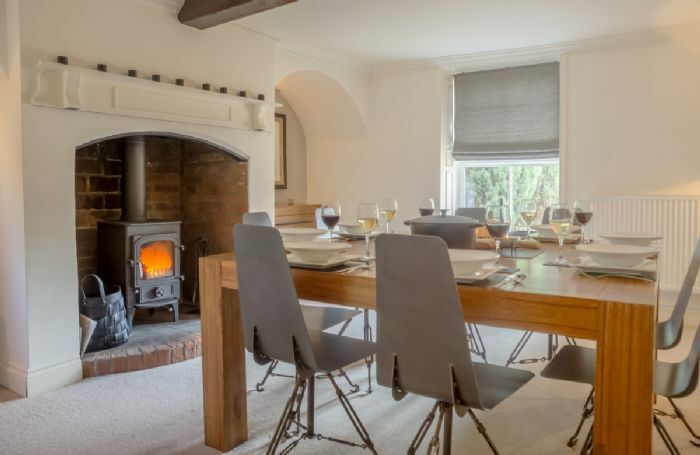 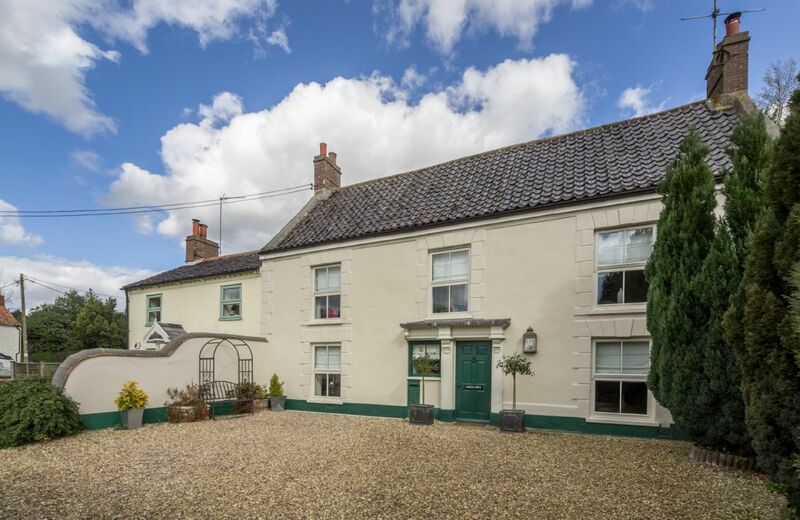 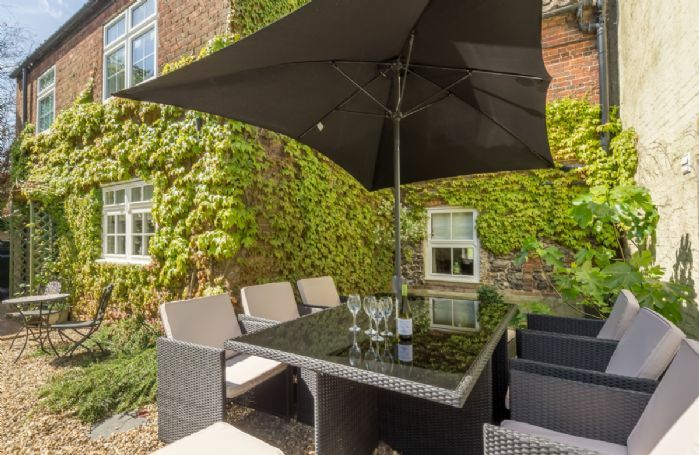 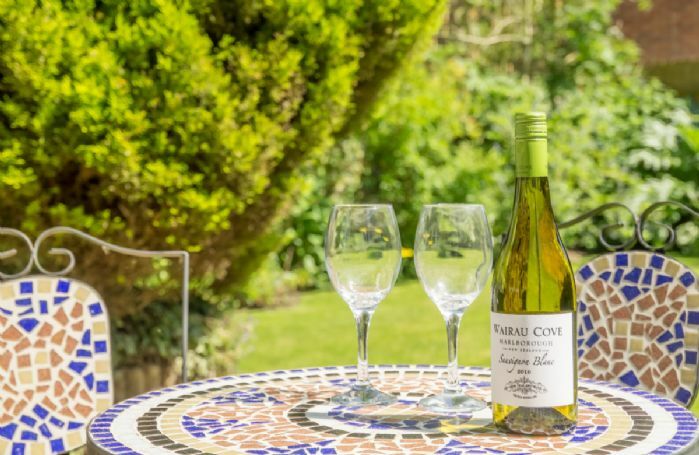 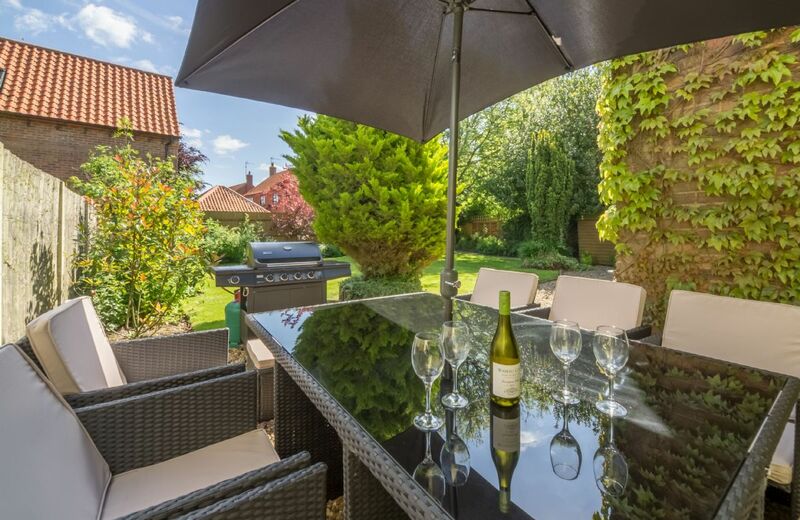 Furnished to a very high standard, Correos House is very close to the golden sands of the North Norfolk coast while also being within easy walking distance of a great pub and restaurant. The property was originally the village post office, hence the name ‘Correos’ House, which is Spanish for Post Office. Each of the rooms has been meticulously furnished with superb attention to detail. 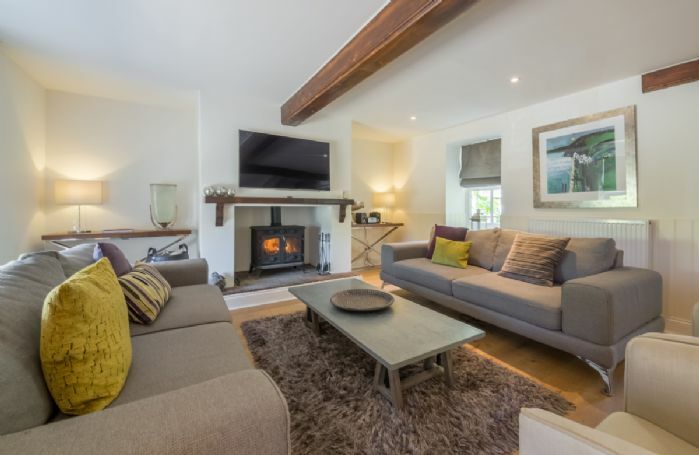 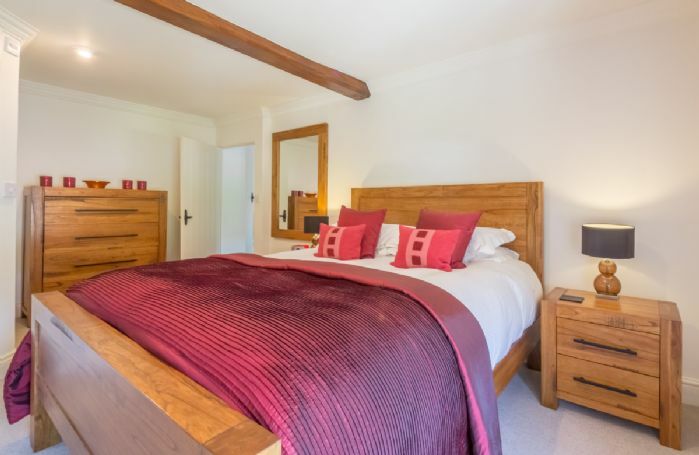 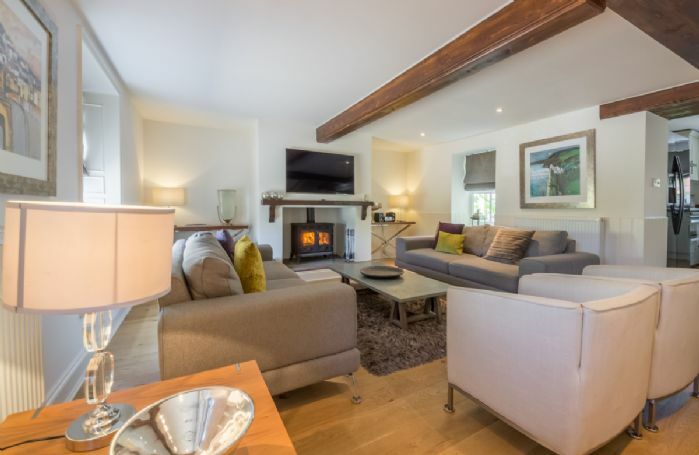 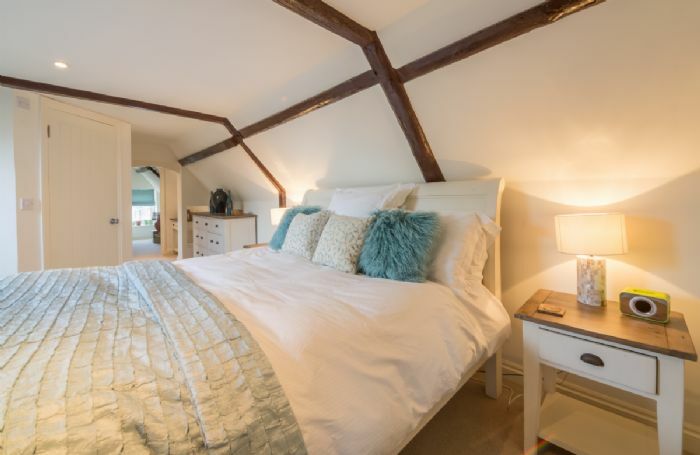 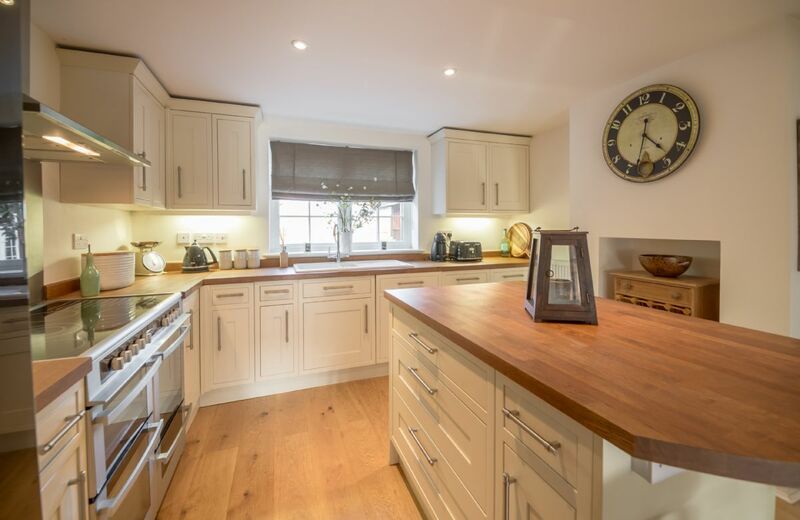 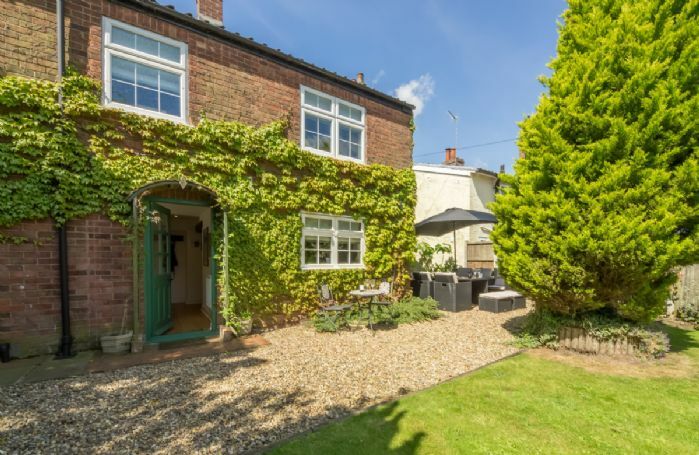 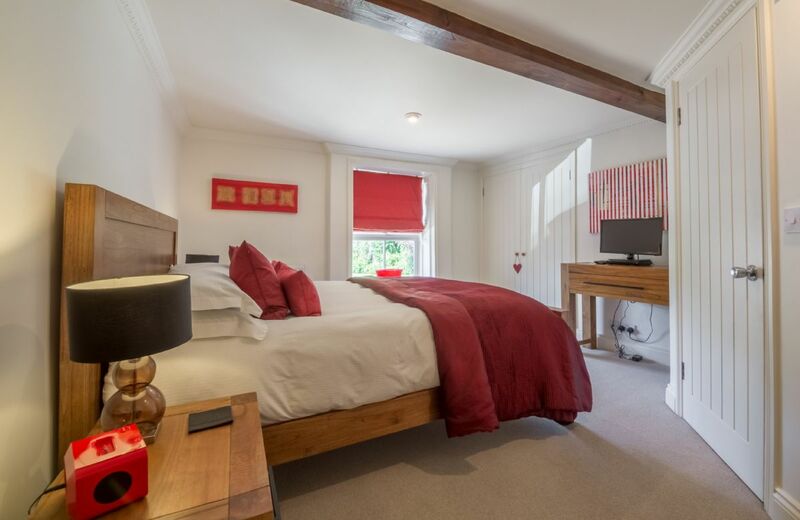 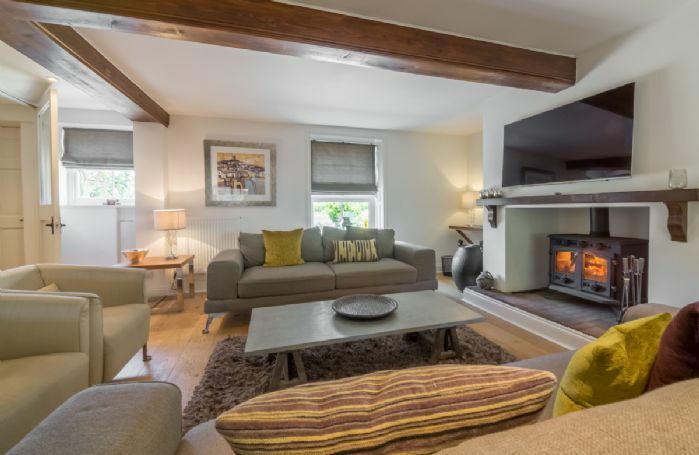 You’ll find a very well equipped kitchen, an open plan sitting room with cosy wood burning stove, a formal dining room and sumptuous bedrooms, each with its own television and DVD player. 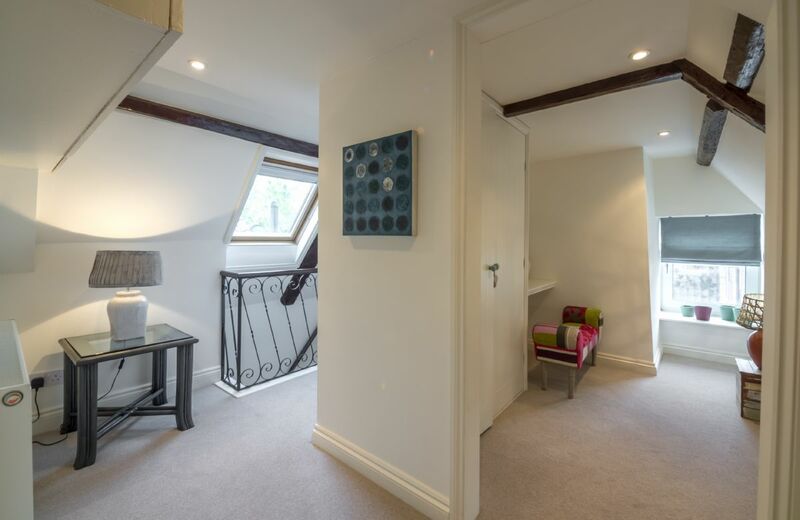 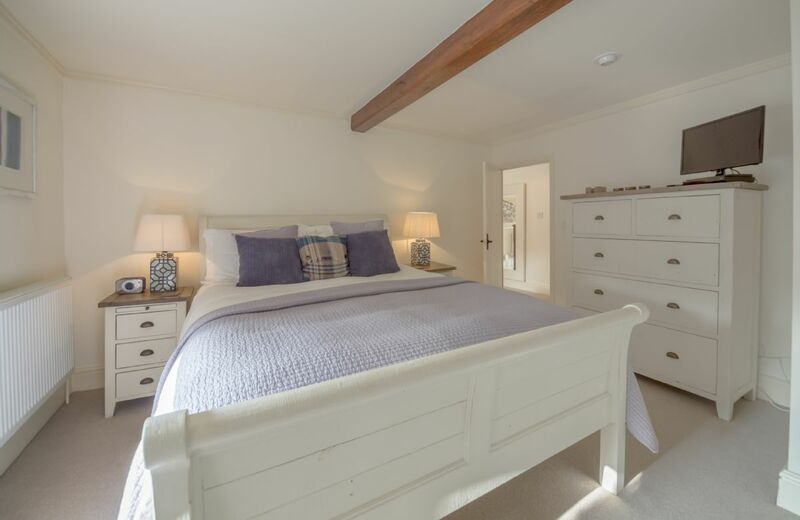 On the top floor is a self-contained master suite consisting of a bedroom, shower room and dressing area. 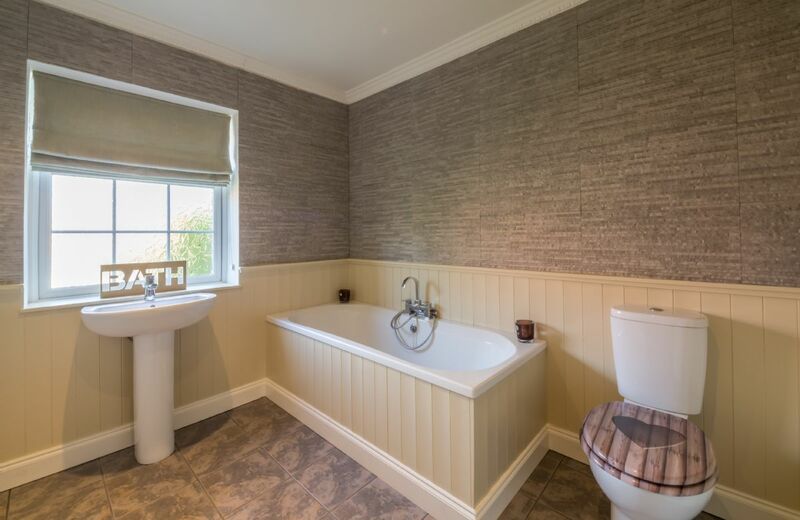 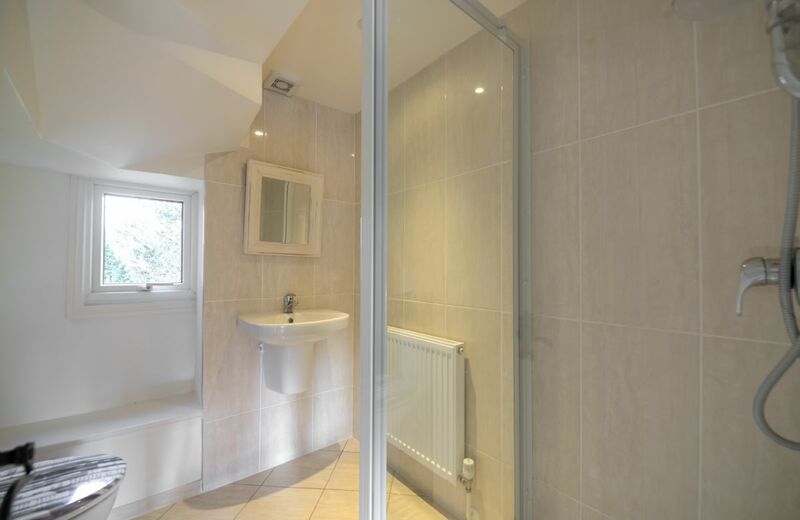 Three of the bedrooms have en-suite shower rooms and there is also a family bathroom on the first floor. 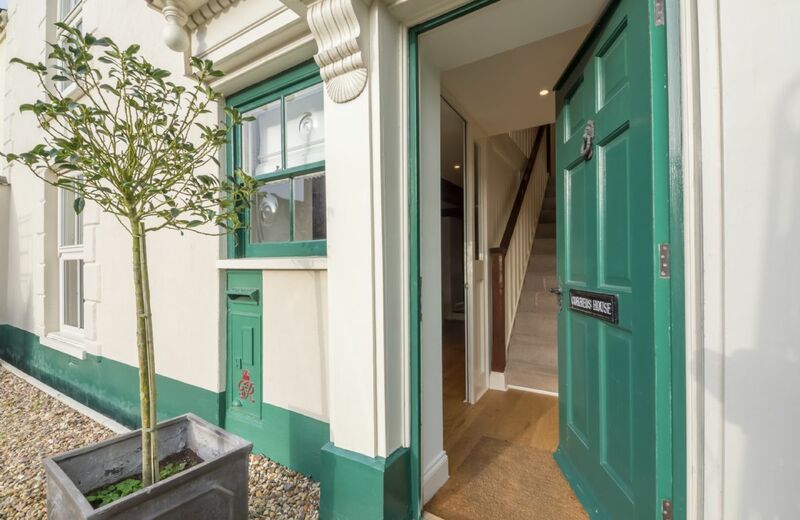 The garden is enclosed and dog friendly, so you’re welcome to bring your four-legged friend too. 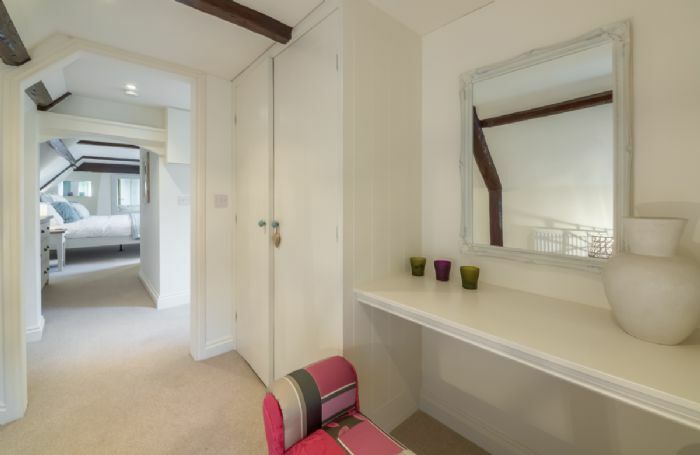 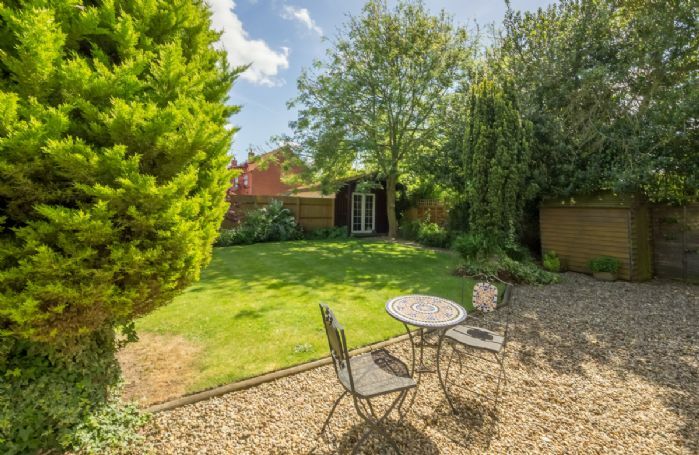 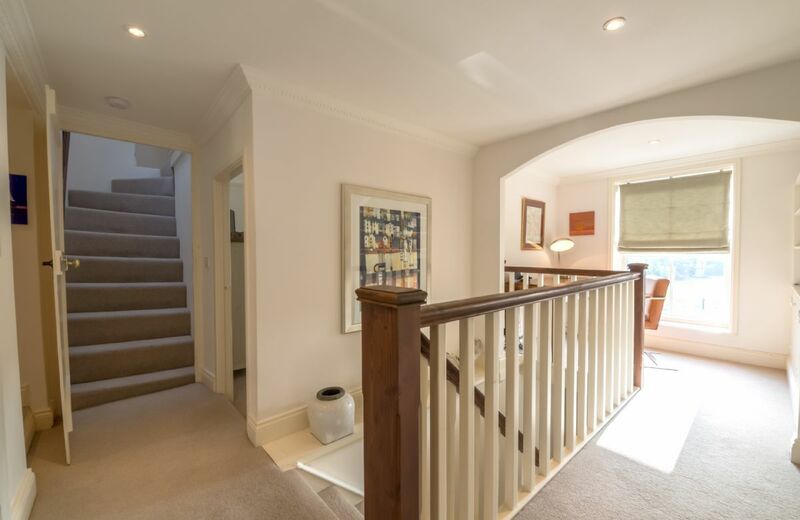 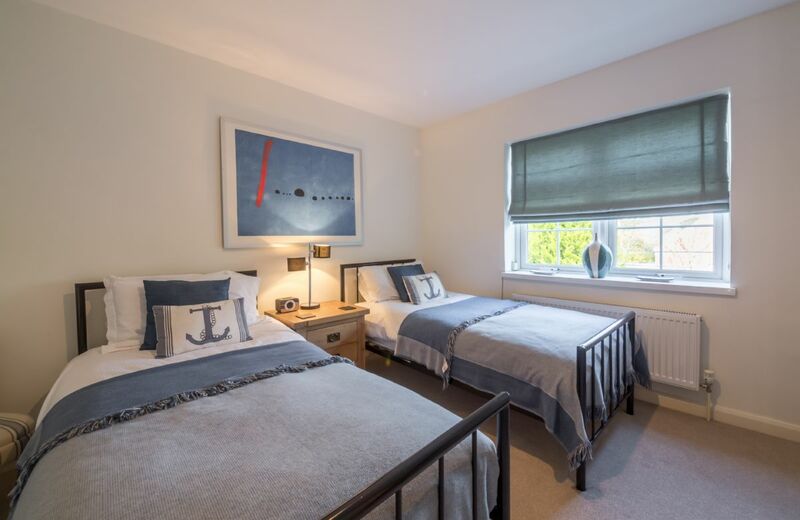 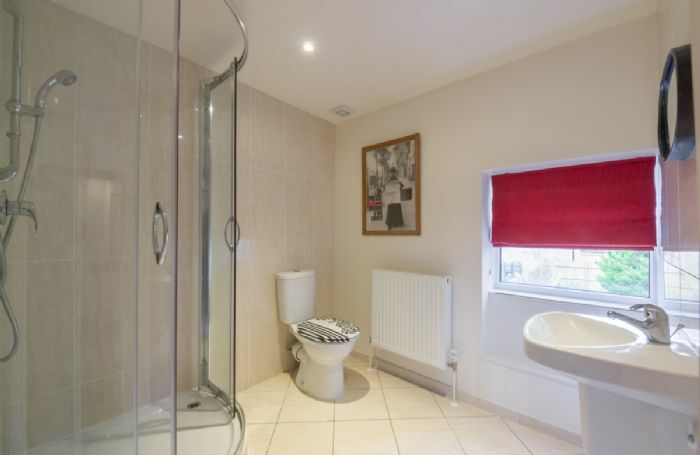 Four double bedrooms, three with en-suite shower rooms. 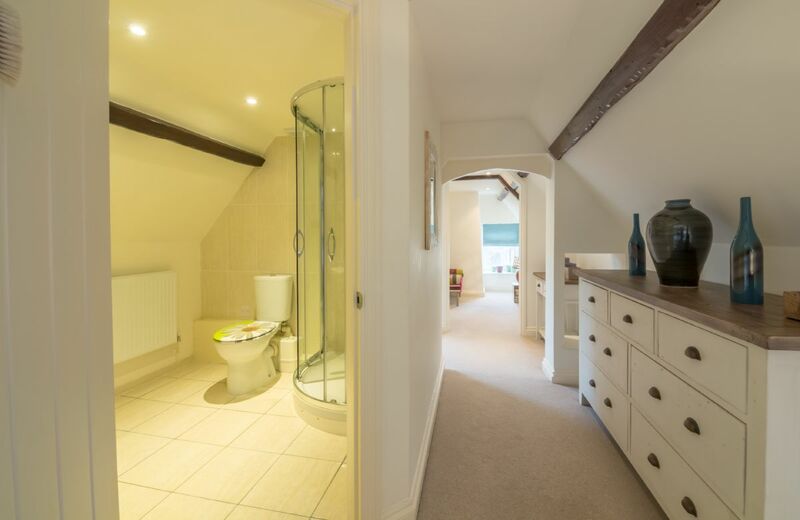 Separate master suite with bedroom, shower room and dressing area. Open plan living and kitchen space. 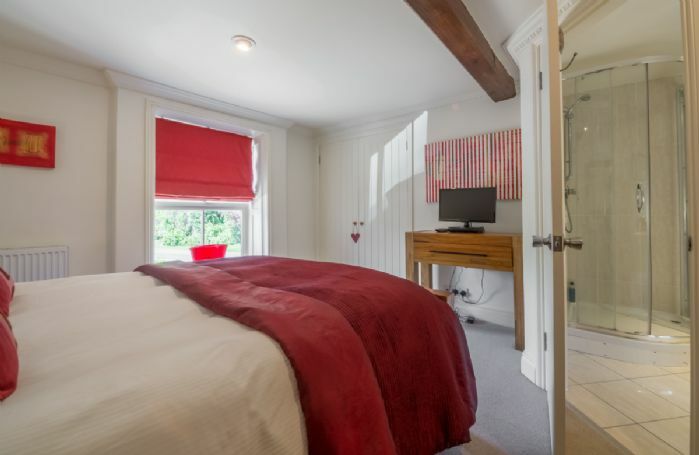 Minimum of a seven night stay. Stainless steel range style cooker. 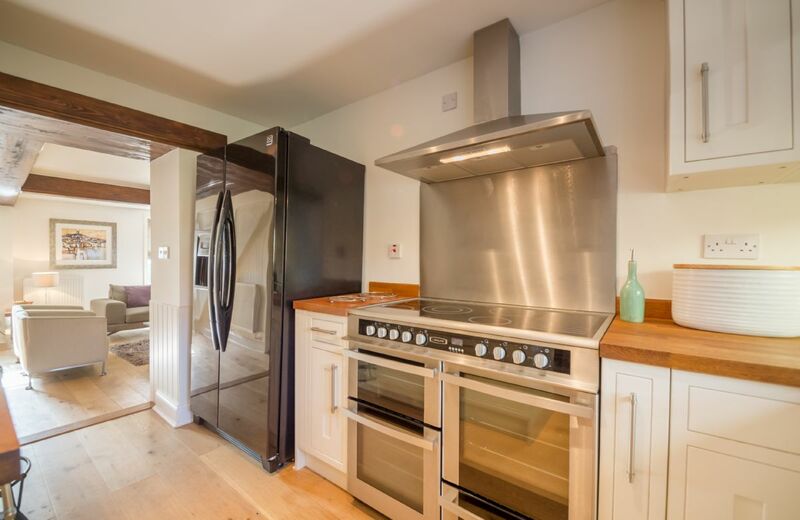 Double oven and ceramic hob. 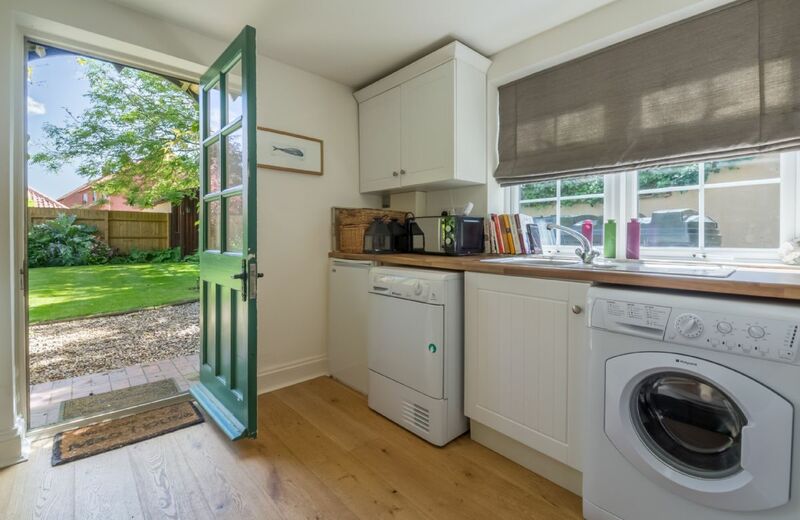 Large American style fridge freezer. Washing machine, tumble dryer and dishwasher. 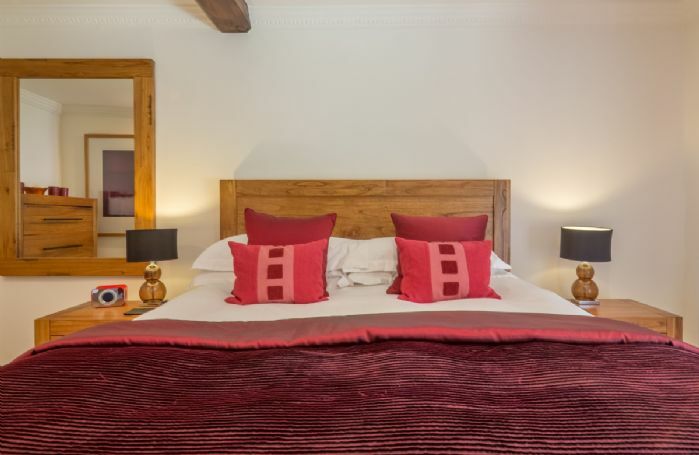 All beds have 2000 pocket sprung mattresses and 800 thread count linens. 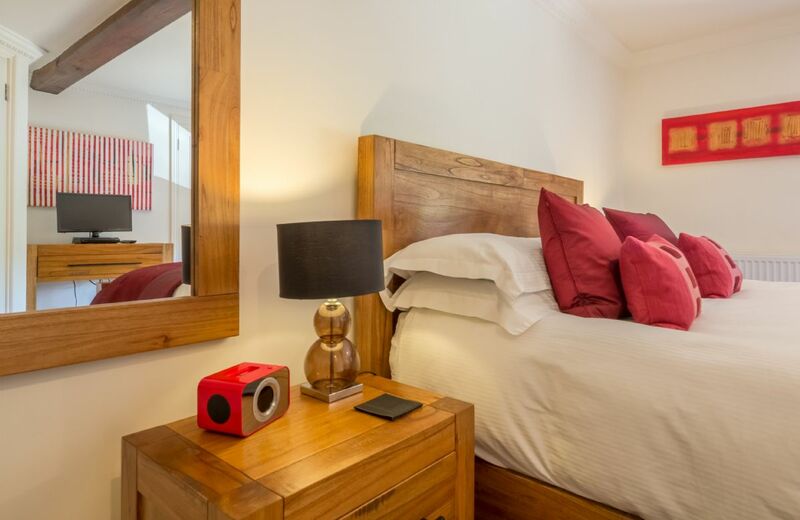 Television and DVD in each bedroom. Set in the tranquil village of East Rudham, Correos House is just a short stroll away from The Crown, a village pub that serves excellent food. 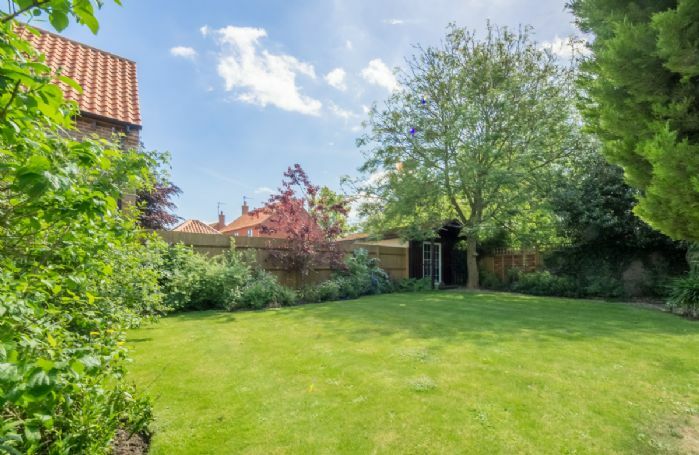 The property is just a short drive from the fabulous stately home of Houghton Hall and Gardens, which often hosts art exhibitions as well as the famous Horse Trials. If Houghton Hall whets your appetite for stately homes, you could be in for a royal treat. 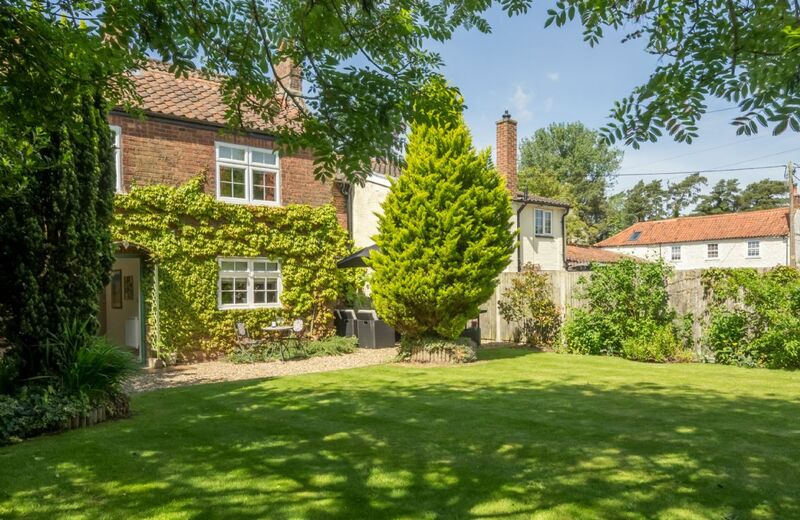 HM The Queen’s country estate of Sandringham is also nearby and is well worth a visit. After all that sightseeing, you’ve earned some time relaxing. 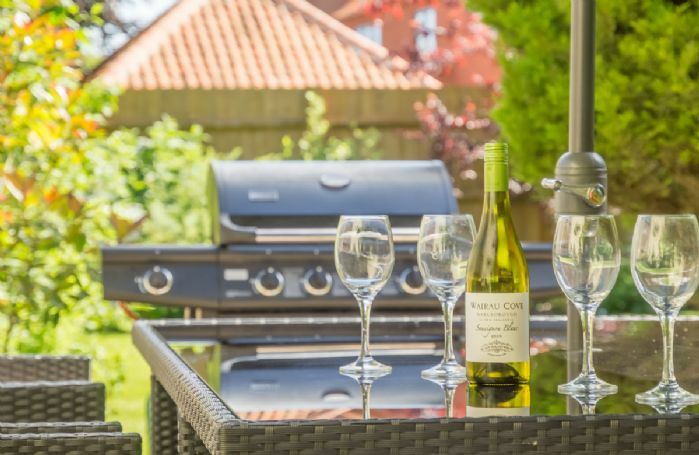 You’re just 20-minutes’ drive away from some of the best beaches in the UK, with the beautiful North Norfolk coast and miles of golden sands. 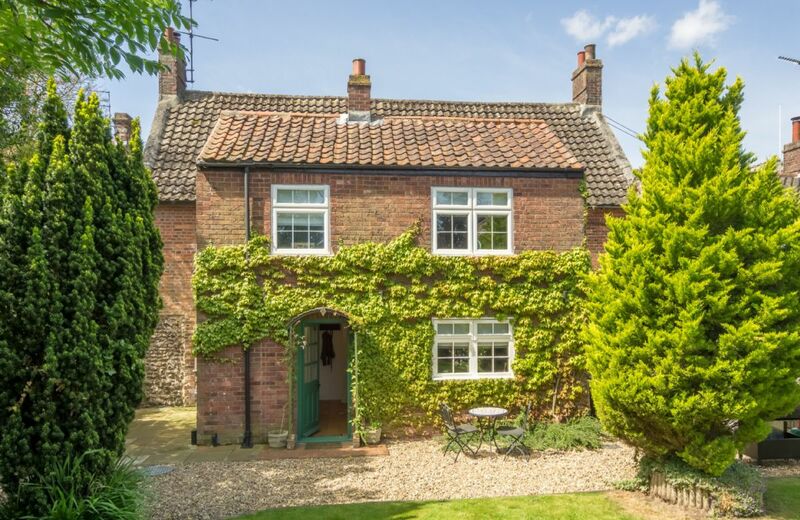 Burnham Market also makes for a great day out. 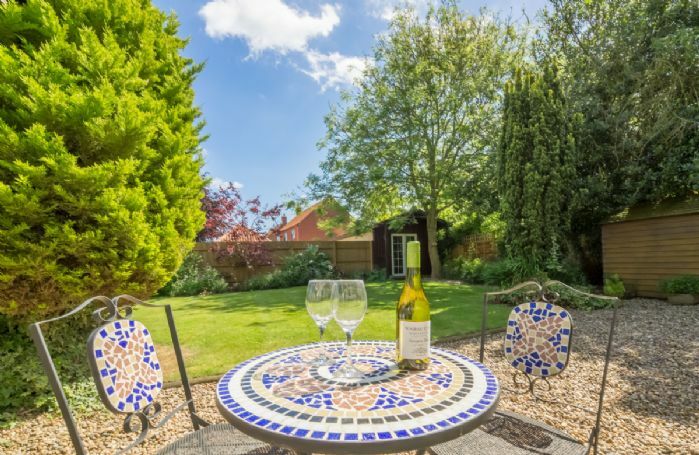 The locals claim Burnham is Norfolk’s loveliest village, and it certainly has a lovely selection of traditional and independent shops and boutiques, as well as plenty of places for eating out.